If the success of your supply chain business relies heavily on reliable and efficient cargo shipping from China to Mexico, TS Freight is the best service provider to meet your requirement. Our customized packages facilitate import from China to Mexico as well as from Mexico to China, keeping in mind that our clients expect nothing but the highest standards of speed, agility, efficiency and professionalism from us. We can transport your goods from any of the major cities in China, including Hong Kong, Hangzhou, Tianjin, Dalian, Shenzhen, Guangzhou, Shanghai, Ningbo, Xiamen and more and deliver your goods to any of the main cities in Mexico, for example: Mexico City, Manzanillo, Ecatepec de Morelos, Guadalajara, Tijuana Puebla, Monterrey, Zapopan and more. We manage and coordinate everything for you, right from pick up of goods to packaging, to inventory details to documentation and custom clearance to loading and unloading of your cargo. 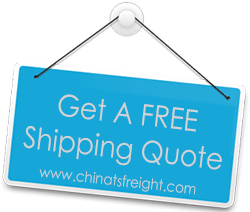 In other words, we are a one stop service to simplify all your import from China to Mexico needs, and we do it at the best costs possible. TS Freight offers transport of your cargo between China and Mexico via sea and air. The reason we can offer you the most affordable freight packages is that we have strong relations with international cargo carriers for the most competitive prices, and our own team excels at all the operational support your cargo needs to reach from point of origin to point of destination utilizing the least cumbersome mode of transport and route. Not only are we suitably equipped to advice you on the best package to choose based on your business needs, we go a step further to customize our services to match with your requirement to perfection, always ensuring 100% customer satisfaction.